The Carlson-Reges Residence, 1922 – Crosby Doe Associates, Inc. 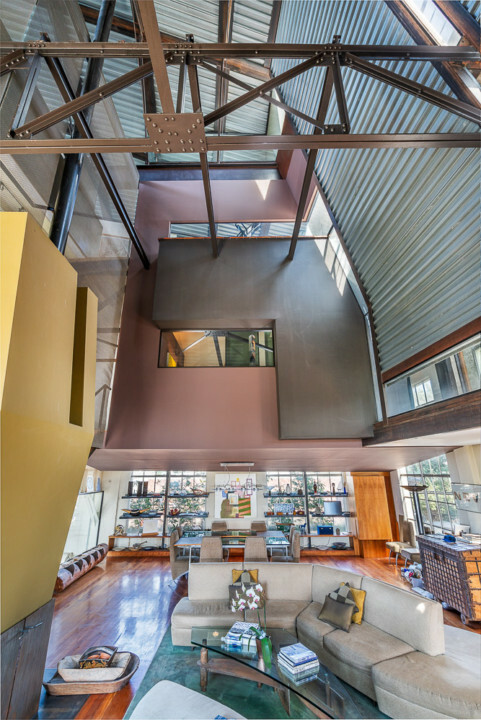 The best architecture inspires those who design it to dive deeper, reach higher and touch the very spirit of creation. 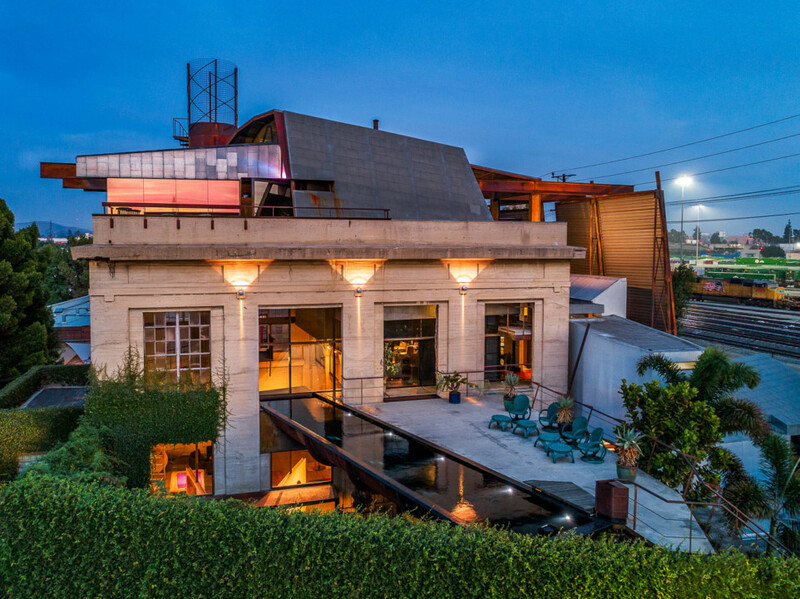 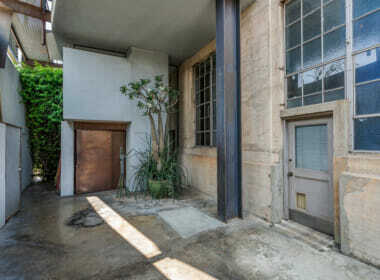 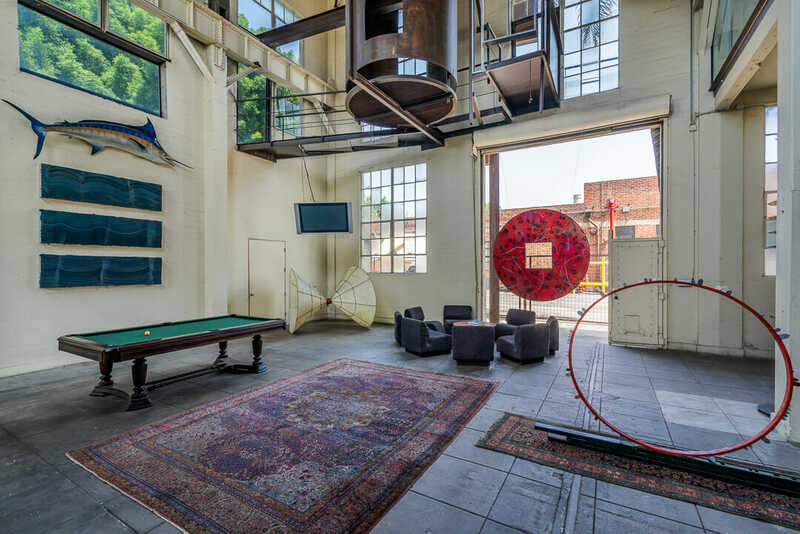 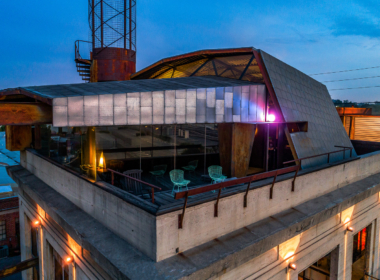 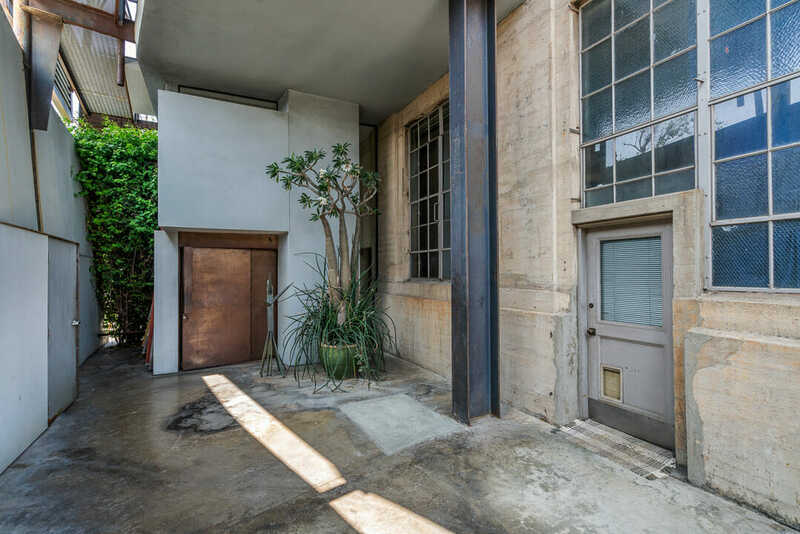 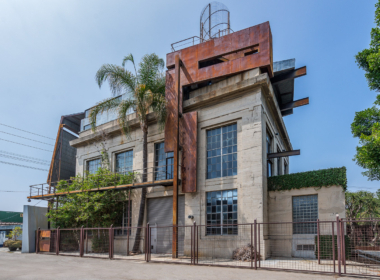 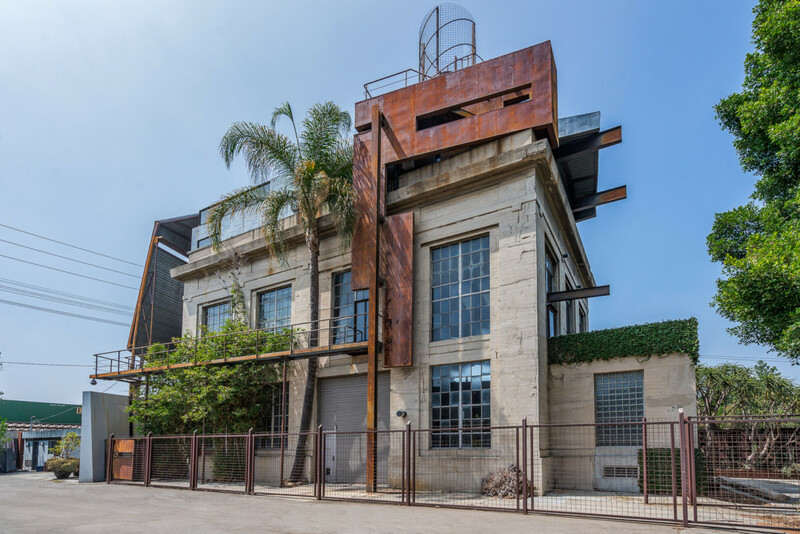 In 1992, at a former Edison Electric Art Deco substation, ROTO Architects started making an AIA-award-winning masterwork that today serves as gallery, artist studio, entertainment space and creative compound. 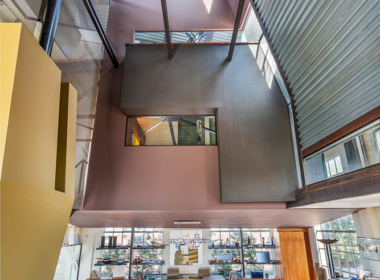 Multi-levels move in and out of the historic façade to create a whole new form, one grand in scale yet intimate in experience. 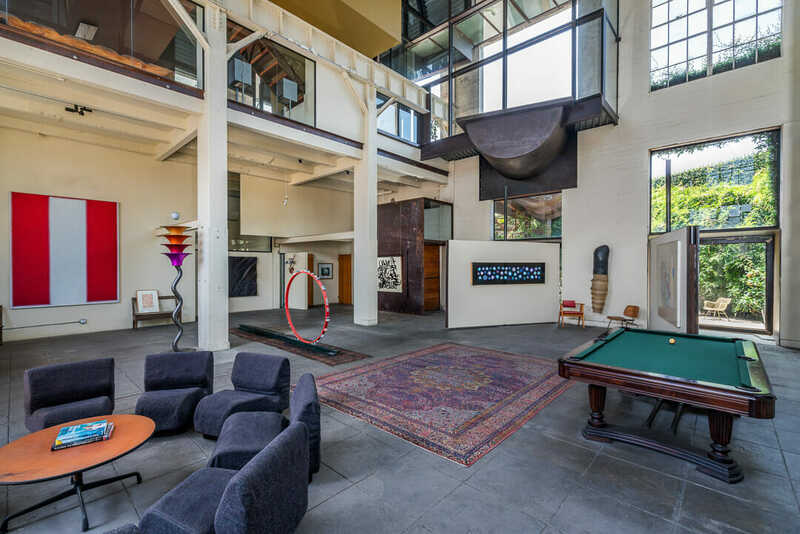 Starting on the expansive ground floor studio you make your way up to the dramatic & luxe living spaces. 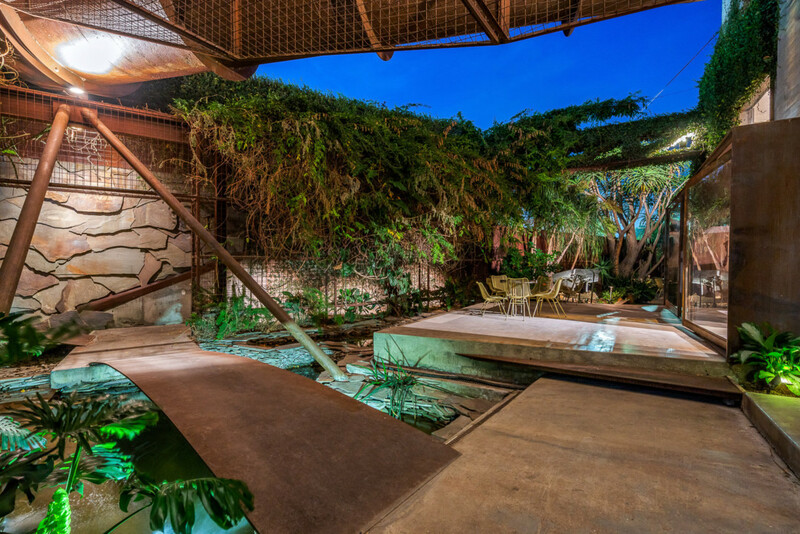 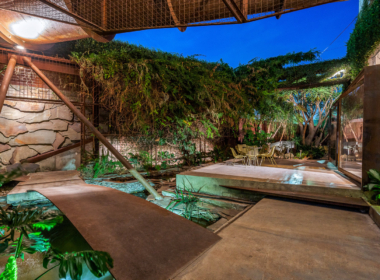 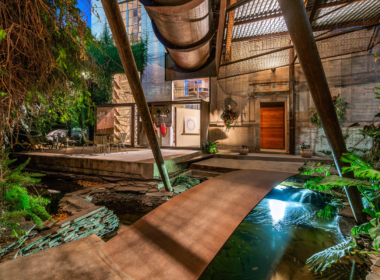 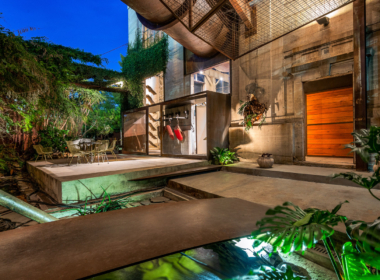 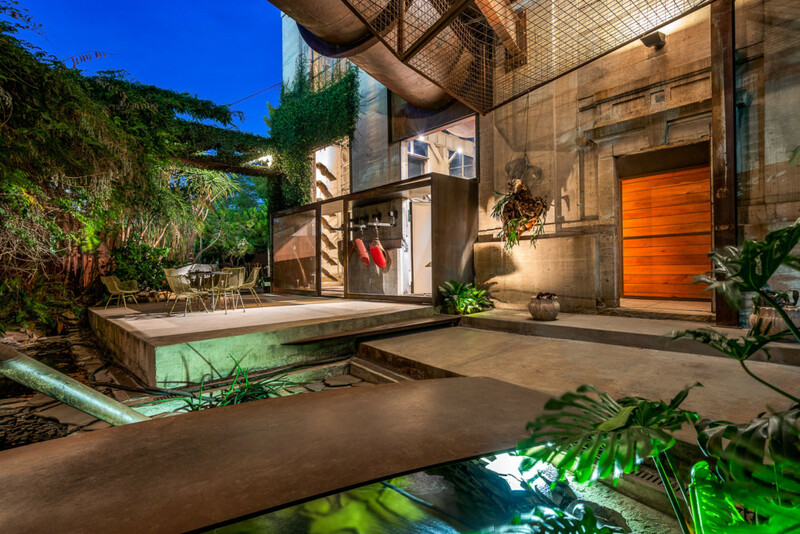 Walls and doors open to pathways and terraces that overlook a lush garden, pond, and a reflecting pool made from a liquid storage tank found onsite. 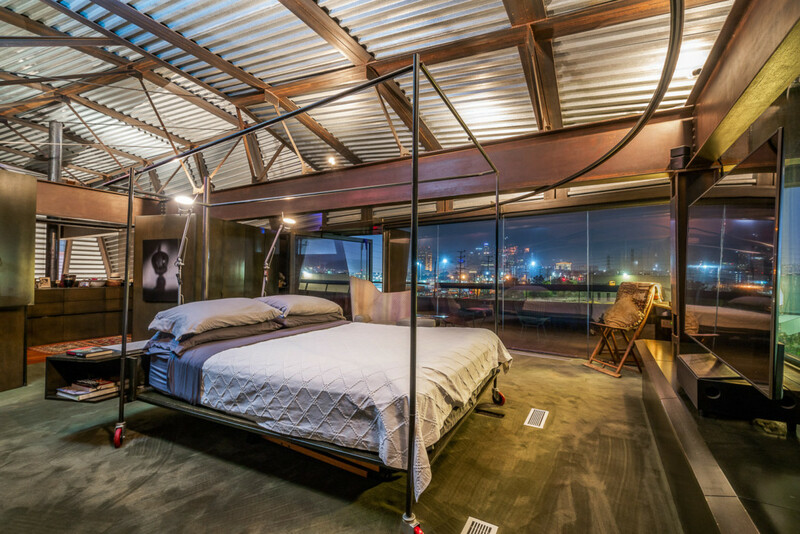 The master bedroom suite seemingly floats over the landscape into the city lights below. 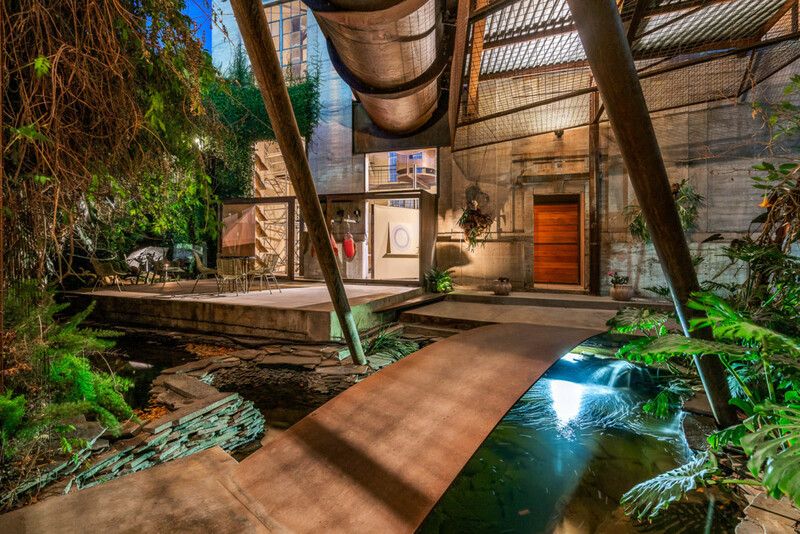 This is a work of art, yet on a half acre of land in this location it is also a property that could offer very strong development potential. 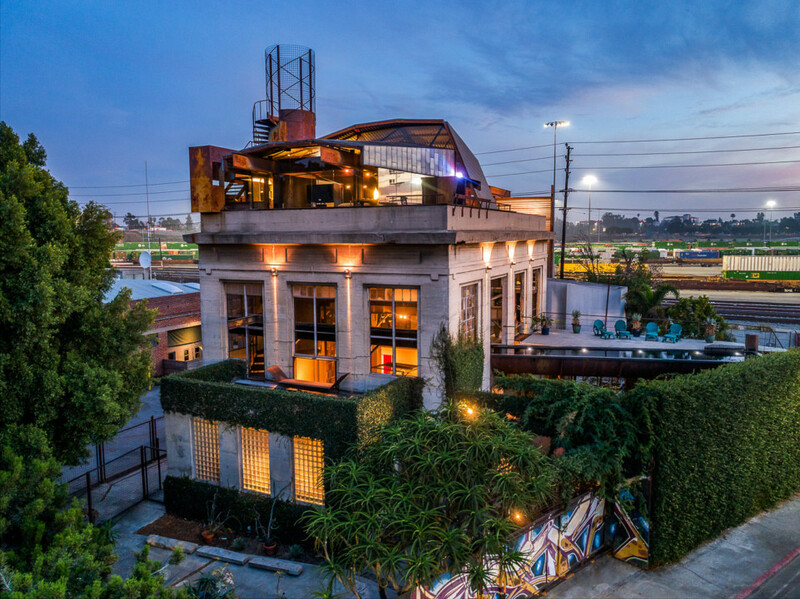 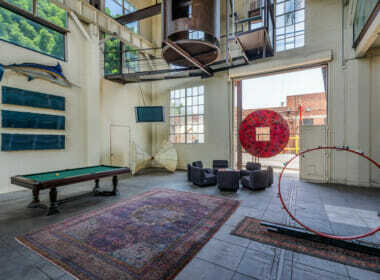 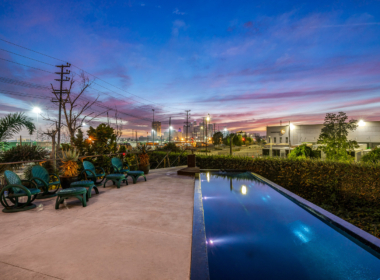 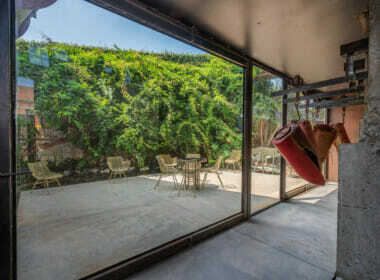 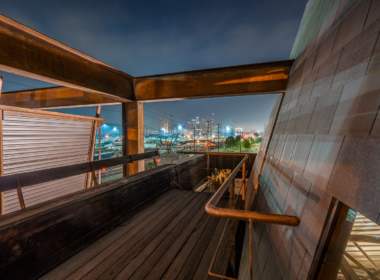 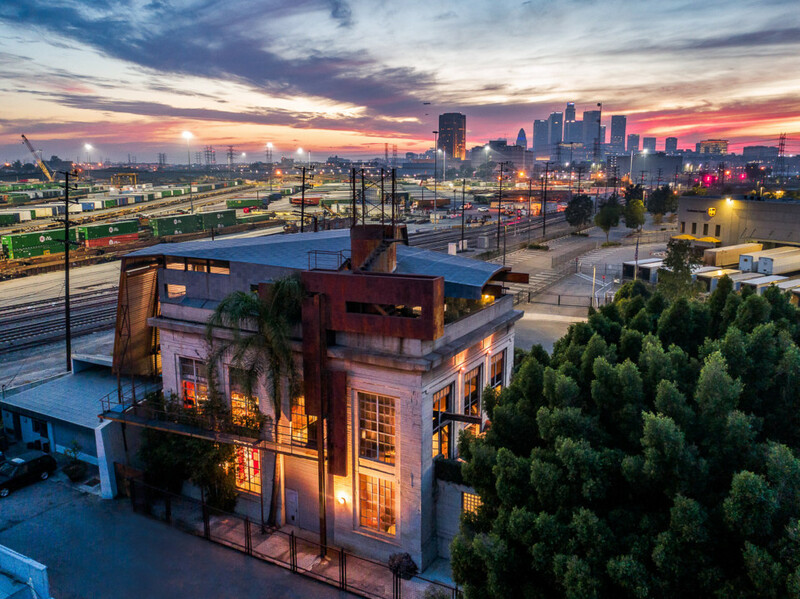 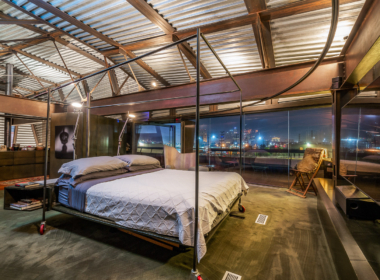 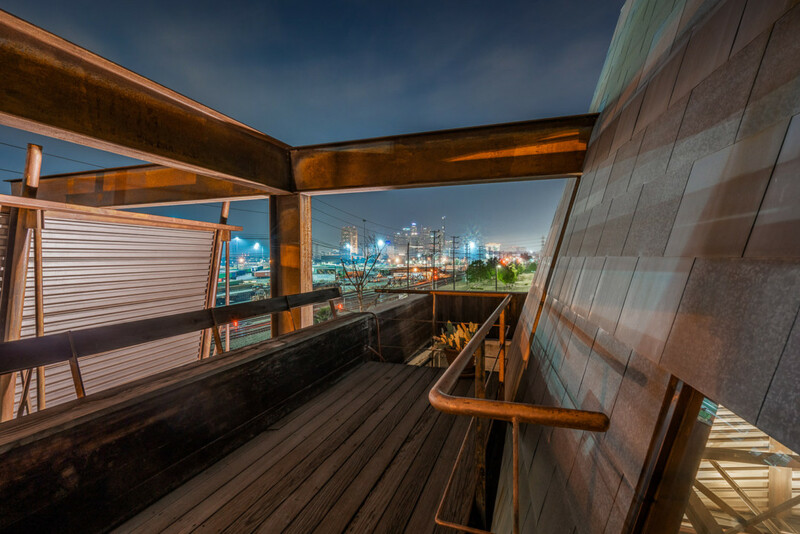 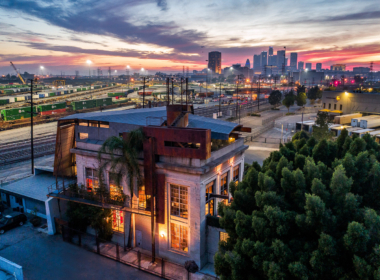 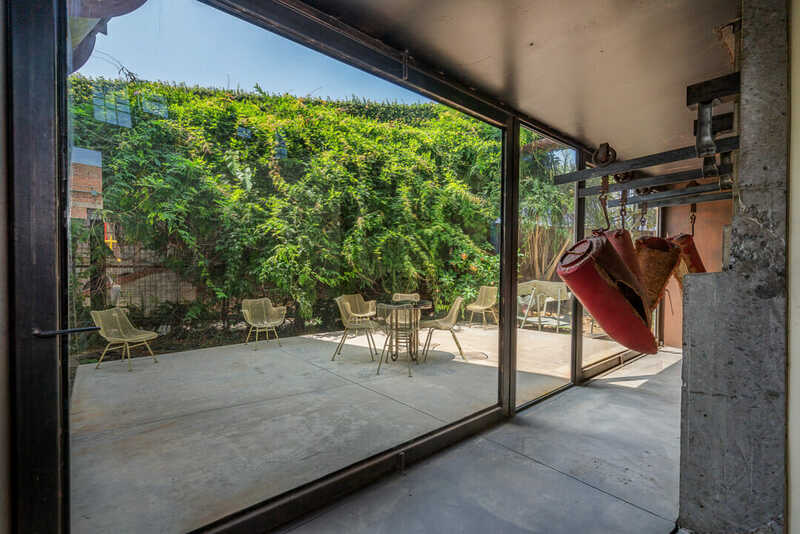 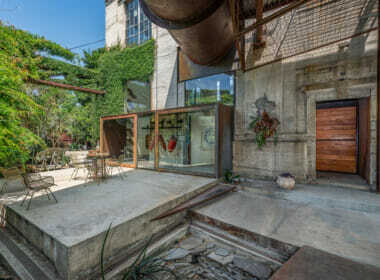 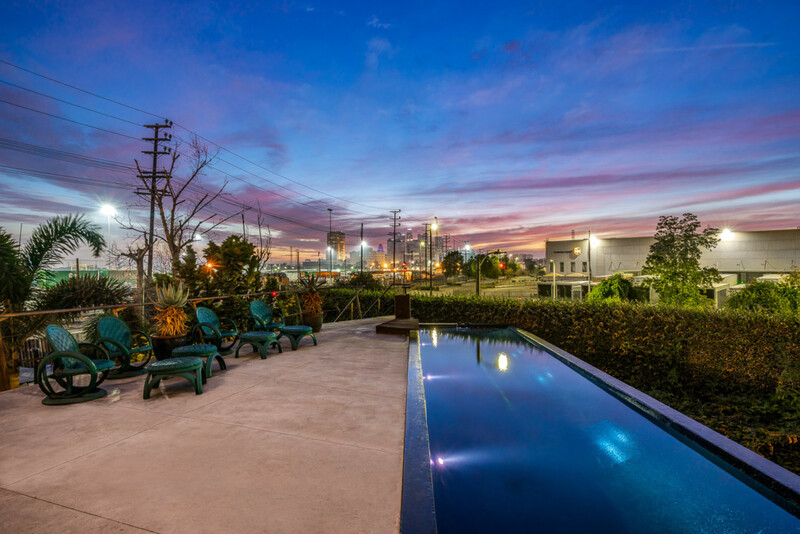 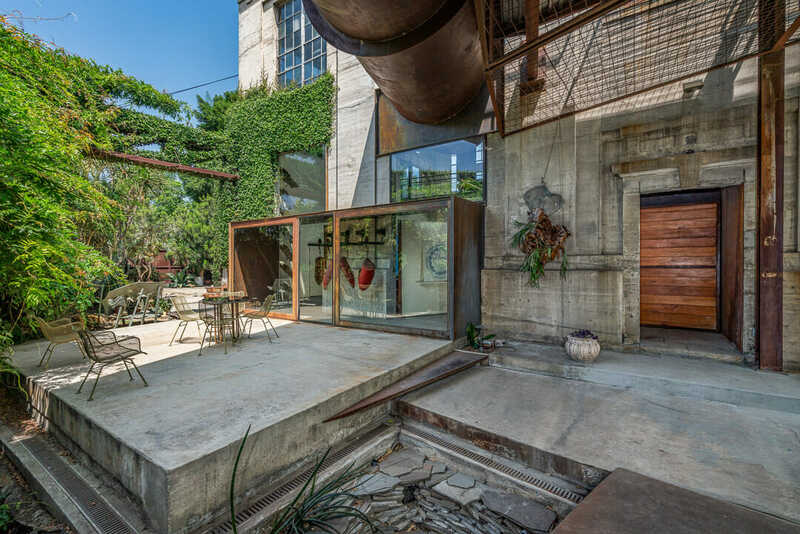 A stylish anchor for the Brewery Arts Complex, the Carlson-Reges Residence overlooks the future site of the Los Angeles River Park and is just minutes from DTLA, Chinatown and the Historic Core.